New Year’s Eve: Pop The Champagne! On New Year’s Eve, champagne is a must, even if you only have a sip or two (or lots more, no judgement here). 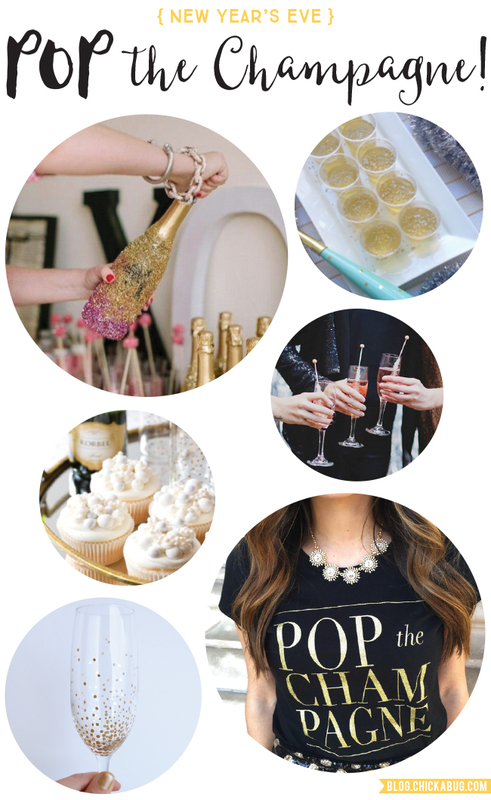 ; ) And there’s more you can do with champagne if you want to go for bonus points – how about glittering a special bottle to pop open at midnight, making champagne flavored cupcakes with “bubbly” tops, or wearing a chic gold and black champagne tee. Whatever puts you in the mood to celebrate! Cheers! For more New Year’s party ideas for kids and adults, click here!